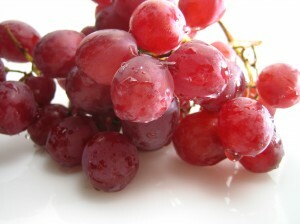 Resveratrol is a powerful antioxidant produced by plants such as red grapes. Studies have shown that resveratrol has anti-cancer, anti-inflammatory, and blood-sugar lowering properties. Several recent studies have indicated that resveratrol may also provide cardiovascular and blood sugar benefits as well. Research reveals more about resveratrol every year. Recently it was learned that topical applications of resveratrol may provide protection from skin cancer, a disease which has been on the rise for several decades. Resveratrol has also shown promising results in studies that involve the treatment of colon cancer and esophageal tumors. In some preliminary studies, resveratrol even prevented the growth of breast cancer tumors. Researchers believe this is because resveratrol inhibits estrogen metabolites from interacting with cellular DNA. It may even help destroy the dangerous estrogen metabolites that encourage breast cancer development. One of its most beneficial uses may be in the prevention of heart disease, which is one of the world`s leading killers. Studies have shown that moderate drinking of red wine can reduce the risk of heart disease, and researchers suspect that the resveratrol in red wine provides these protective benefits. Resveratrol may also help prevent blood clots, similar to the effects of aspirin. Resveratrol may also be beneficial in treating or preventing diabetes, another disease that has been on the rise. It`s been shown to be very helpful for lowering abnormally high blood glucose levels in diabetics. This may be an important discovery, as healthy blood sugar levels are crucial to good health. The applications for resveratrol are potentially limitless, and future research will hopefully guide us to understand where resveratrol can help us the most. Most people find that supplements are the easiest way to consume more resveratrol. However, getting nutrients through food is preferred because it is difficult to calculate how activators and complementary nutrients present in real food may enhance the power of antioxidants like resveratrol. Foods that contain resveratrol include: red grapes, peanuts, cocoa, cranberries and blueberries. Including more of these in your daily diet will naturally increase your consumption of resveratrol.